Is anyone other than Apurvis Blades making clips for the Drunken? 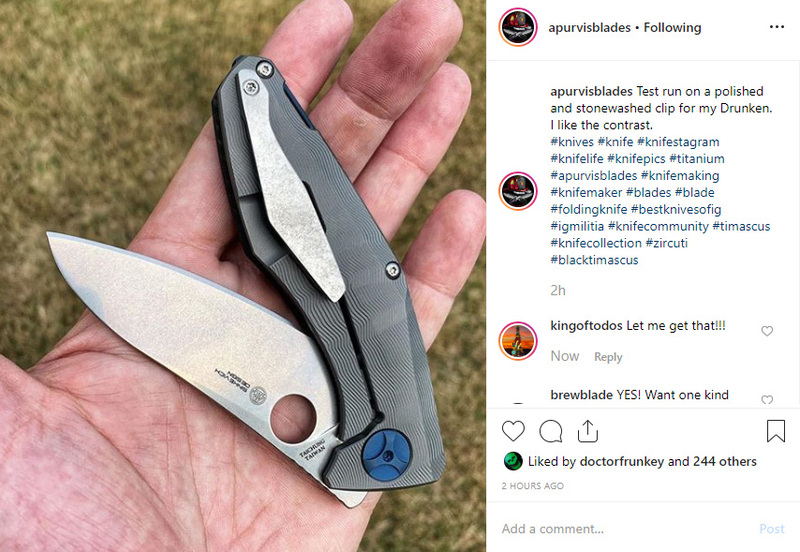 These do looks nice but I am hoping not to have to spend $140 for a clip on a $400 knife and also would prefer something more discreet. Not that I'm aware of... But I'm sure more will pop up in time. It's still a new model, so you might be a bit more early to the game than most aftermarket parties are. I'll shoot them messages to add to the requests. I can’t believe I missed this and I have apurvis favorited... you guys are such enablers. Just for the record, I’ve spent 100.00 on custom clip for a 200.00 knife... it just depends on how much you like it.